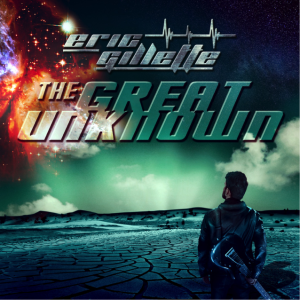 Eric Gillette, guitar virtuoso from the Neal Morse Band is pleased to announce his upcoming solo album ‘The Great Unknown.’ The album is Eric’s first solo effort since joining the Neal Morse Band and features Eric on Lead Vocals and Guitar, as well as an incredible collection of musicians including the extraordinary Thomas Lang on Drums. The group is rounded out by Haken members, Diego Tejeida on Keyboards, and Conner Green on Bass. ‘The Great Unknown’, due out in May 2nd, 2016, boasts 7 original tracks and is produced by Eric Gillette and Chris Thompson. The album is mastered by Rich Mouser (Transatlantic, Spock’s Beard). 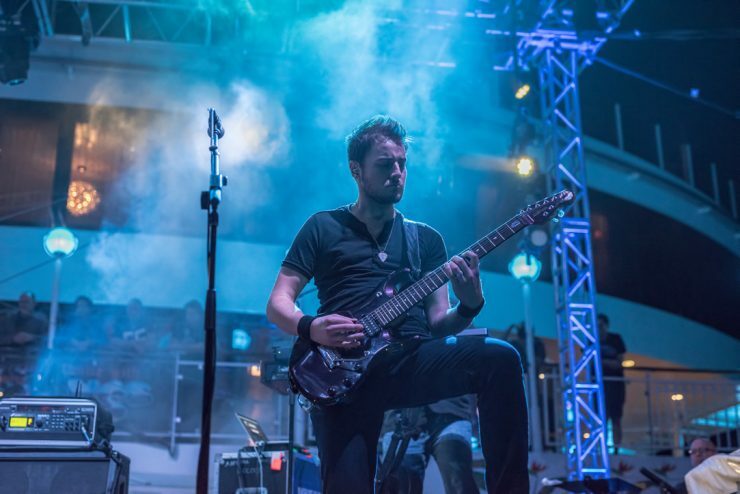 As the lead guitarist for the Neal Morse Band, Eric was instrumental in the success of the group’s 2015 highly acclaimed album ‘The Grand Experiment.’ Having toured with the group in the U.S. and Europe, Eric has gained tons of exposure and has proven to be one of the most exciting new virtuosos in the progressive rock scene. 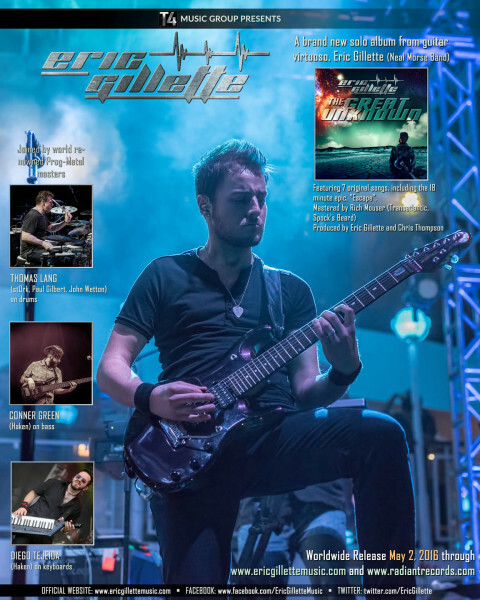 In 2013, Eric released his debut solo album ‘Afterthought’ on which he played every instrument. Afterthought is a progressive rock album that showcases Eric’s distinct style, vocals and abilities as a multi-instrumentalist. The record covers a lot of musical ground, from “Lost,” a 22-minute epic to “Above the Sky” a piano and vocal closing track.